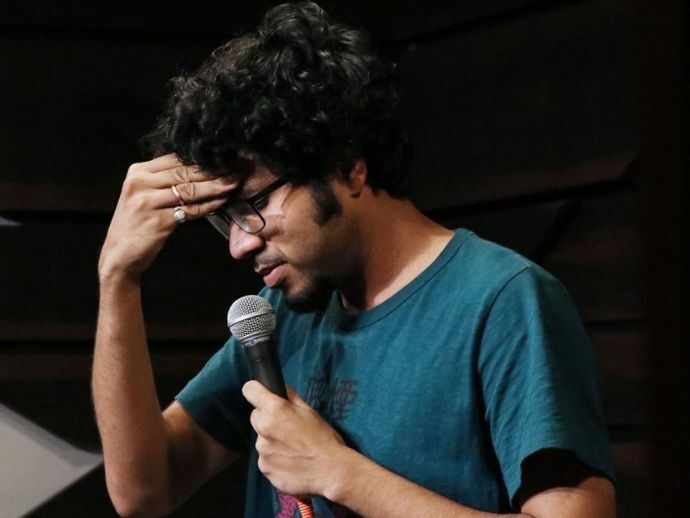 "Indians Have The Worst Comebacks"; Comedian Abhishek Upmanyu Tells Us How! Abhishek Upmanyu's epic rant about Indians and their failed comebacks. Nerdy glasses and shabby dress up! This guy looks straight out of an engineering college hostel! But what is noteworthy is his lazily rustic style that makes you gawk! There is a new boy Abhishek Upmanyu on the comedy block who presented INDIANS INSULTS AND COMEBACKS at the Canavas Laugh Club..
His epic rant is about how Indians are great at computers, mathematics, racism but great comebacks, however, are not on the list. Apparently the cat-lover and haiku enthusiast fails to understand the comebacks by Indian parents who seem oblivious to logic and reason. Watch the funny man take you for a ride!